Built in 1921 as the steam-propelled mooring tender SS Toteco at Kyle and Purdy, City Island, N.Y. for the International Petroleum Co.
Late 1970s registered as SS George and owned by Maritima Venezolana de Navegacion, S.A.
77k The steam-propelled mooring tender SS Toteco probably shown early in her career. Note the derrick amidships, probably for handling mooring buoys. 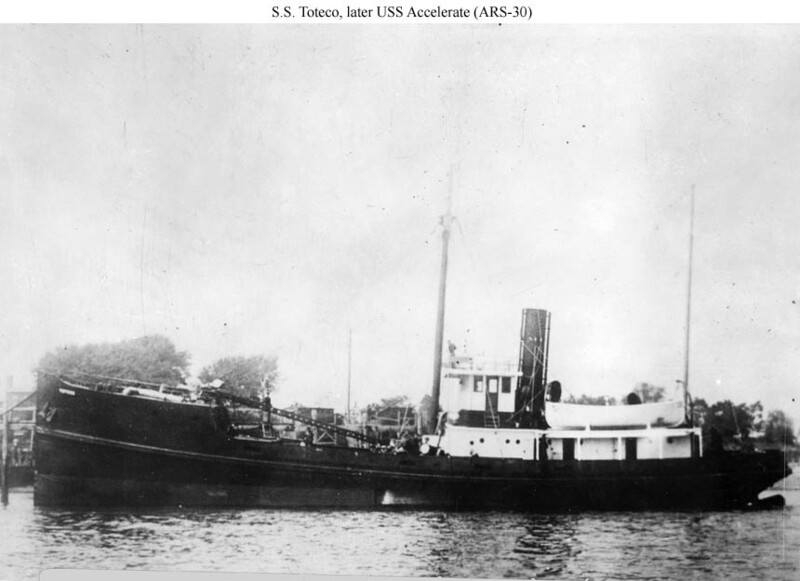 She later became USS Accelerate (ARS-30).